Finally a post about education and research. In the context of the newly started project Exploiting Ubiquitous Computing, Mobile Computing and the Internet of Things to promote STEM Education (UMI-Sci-Ed) H2020, 2016–2019 we are asked to provide urls for official education in Norway. So I start and hope for feedback’s from colleagues and friends. The Directorate is the executive agency for the Ministry of Education and Research. Norway is divided in 19 counties. Each County is responsible of upper secondary schools. Trondheim is situated in Sør-Trøndelag Fylkeskommune (STFK). STFK has 22 upper secondary schools with approx. 11.000 students in the 16 – 21 age group. The schools offer general and vocational education. The County Authority is also responsible for apprenticeship training and adult education. Norway is divided into 428 municipalities. Municipalities are the atomic unit of local government in Norway and are responsible for primary education (until 10th grade). In Norway the curriculum in programming is very limited in the different stages of education. In secondary school we cannot find any curriculum on programming/coding, but a optional course for a limited number of secondary schools in the country that is starting up this fall(2016). In upper secondary school (11th-13th year) there is more options to specialize in computing and programming. Here  is the resource from the education department where it’s possible to search through all courses provided in the Norwegian upper secondary school, with curriculum. Here are some courses that I think you will find interesting in regards to ICT , and . You can read more about the norwegian educational system/model at short long  . The pedagogical approaches and class formation are pretty standard I believe, but different schools in different regions are often part of programs to explore different sizes and classroom landscapes. The standard class sizes are about 20 pupils per teacher. Classroom are as standard as you would find them elsewhere in the world. 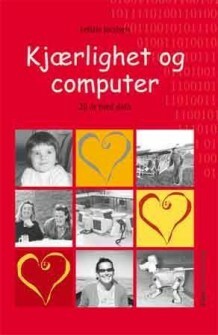 The Norwegian school system provides every pupil with a personal computer at the start of upper secondary school (Example from our district ), there has also been experiments with computers in lower school levels .